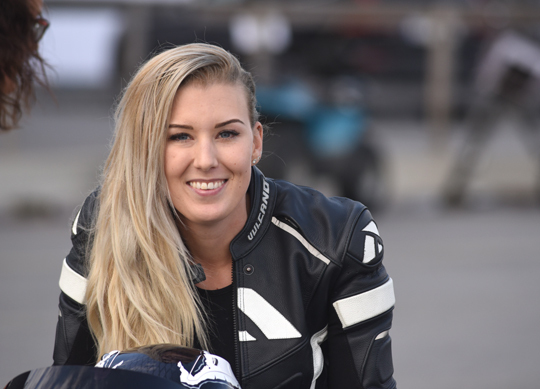 Ida Zetterström is the luckiest girl in the world, at least in the world of drag racing. 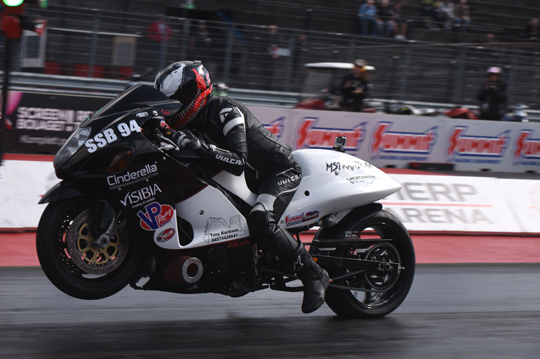 Only a few weeks after she finished her second season in Super Street Bike and reset her personal best to 7.36 seconds, Zetterström can present her bullet for the 2019 EDRS Pro Nordic Motorcycle Championship, Lucky 13, a bike capable of running 6.8 seconds! And as she can’t wait until the 2019 season to start riding her new machine, Zetterström will travel to the States to take part in the Man Cup Finals in Valdosta. 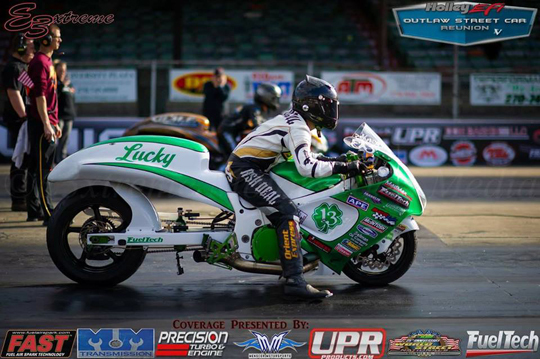 “My new bike, called Lucky 13, was owned by a U.S. team and they have been racing over in the U.S. for several years. 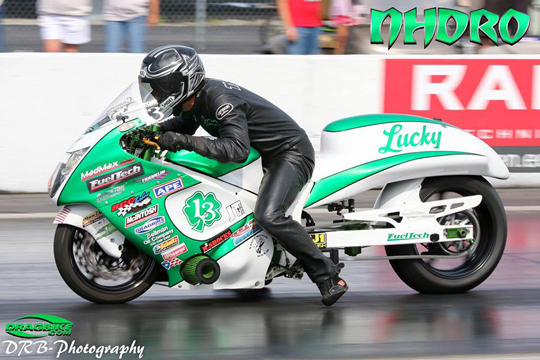 The best ET of the bike is 6.87 seconds and was set just a couple of weekends ago with Cameron Teasley as the pilot. That put him as the number 25 on the Greatest Of All Time list. The Hayabusa has had several different riders through the years and even the owner’s wife has raced it, so I won’t be the first girl to race this bike,” said Ida Zetterström, still over the moon with her latest acquisition. The 2018 season was Zetterström her second year in Super Street Bike and she made remarkable progress during the season. At Alastaro she defeated 2017 champion Mogens Lund in the first round with a stunning holeshot win, to advance to the semifinals. At the Summit Racing Equipment Internationals at Tierp Arena, the last race of the EDRS Pro Nordic Motorcycle Championship, she reset her personal best almost every run. 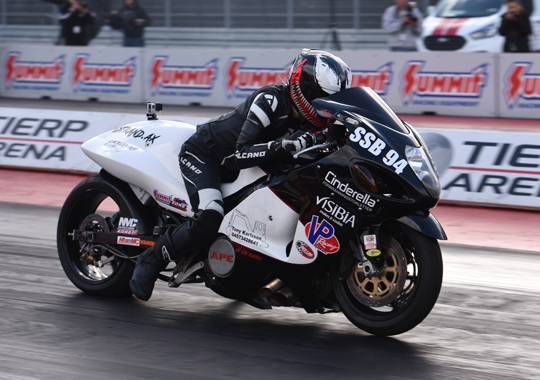 In qualifying Zetterström recorded a great 7.42 seconds, to improve to a winning 7.398 seconds in the first round. In the quarter finals she reset her personal best to 7.368 seconds, but lost to Vesa Ruhanen to finish the 2018 championship in seventh position. But immediately after the end of the 2018 season, it was time to think about next year’s program. “I saw Lucky 13 last year when me and Kim were in Valdosta to watch the finals and cheering on the European riders that were there then. After the event we got to know Mike, who was piloting Lucky for that event. He is a big factor for why we got interested in buying Lucky. We had a good contact with Mike and he always talked so good about the bike. 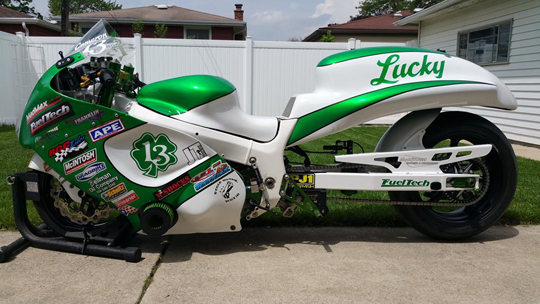 The bike came up for sale this summer and we started talking to the owner, who is a great guy and has really made us feel comfortable in our choice of the bike,” said Zetterström about the choice for Lucky 13. 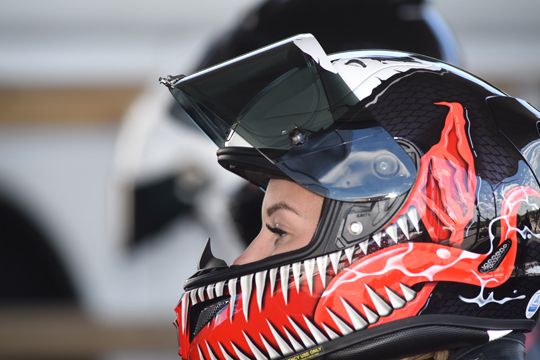 Zetterström plans to make her first runs on the bike sooner than expected. “It has been a dream of mine to race in the U.S., and since we have the opportunity to do it now before we ship the bike back home, we didn’t want to miss out on that. It will be a big experience for us and I think it will be a lot of fun! The bike has been in the 6.8-second zone, but we have to remember that that was with a longer wheelbase and a more experienced rider, so I have to be realistic in my goals for the Man Cup Finals. But for sure I’m hoping to be able to go fast!” The Man Cup Finals in Valdosta are on the calendar for 16th – 18th November. In the meantime there is still an opportunity for other Super Street Bike riders to buy an extremely competitive bike. “Yes, I still have my 2018 bike for sale. That has also been a really good bike, so hopefully we’ll get it sold soon. My personal bests with this bike are 7.36 seconds and 325.5 km/h.” If anyone is interested in a good bike that still has a lot of potential in it, just call Ida or send her an email!